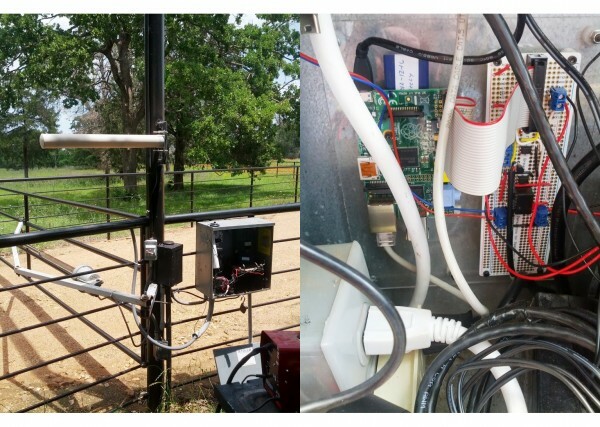 Remote Controlled Gate Powered by RPi #piday #raspberrypi @Raspberry_Pi « Adafruit Industries – Makers, hackers, artists, designers and engineers! My brother, Kelly Snyder and I have been playing with Pis for a while now and are always looking for some fun projects to do. One day we came up with this one and it has been not only fun but also useful. A little background… Our parents live in the country and have an electric gate at the front of their property. They lock the gate open in the morning and then close it again at night before they go to bed. The problem was they had to drive out to the gate to get close enough for the remote control to work. 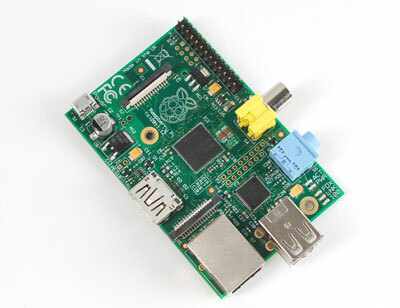 In comes the Pi. We thought we could allow the opening and closing of the gate from a web page served up on their LAN. We added the ability to automatically lock open the gate (this requires you to press the remote control button before the gate is fully opened.) We add the ability to turn on and off the light at the gate. We also added a fan to the box to help keep the Pi as cool as possible during the hot summer months.